The BEST healthy coleslaw made with fresh purple cabbage, carrots, cilantro, and a kick of heat from jalapeño. There’s no mayo, just a naturally sweet and slightly tangy dressing. This simple, healthy coleslaw is perfect serving with your favorite grilling recipes all summer! I don’t know about you, but I have a real addiction to the superfood underdog AKA red cabbage. (Some people call it purple, but technically it’s red.) I’m not sure when the cabbage obsession really started (maybe it was from this salad) but now I’m basically convinced that cabbage needs to be in EVERYTHING. Did you know that red cabbage is actually the healthier cabbage? Don’t get me wrong, both red and green varieties are wonderful but red cabbage actually contains more vitamin A and iron than it’s green counterpart. Both cabbages colors help to promote a healthy gut (which is what we’re all about these days), fight inflammation, boost your immunity and contain plenty of nutrients your body needs. IT’S ABOUT TO BE A CABBAGE PARTY. My favorite thing about cabbage isn’t just the nutrition though. It’s the epic CRUNCH it gives salads and slaws. It’s addicting and I can’t stop putting it in recipes. Stay tuned for more this summer. But that’s enough chatter from me — it’s recipe time! Fun fact: I loved coleslaw as a little girl. I’d ask for big bowls of it with lots of black pepper. Dad made a homemade version with lots of mayo. This version isn’t Dad’s but IT IS for all you millennials. Heh. 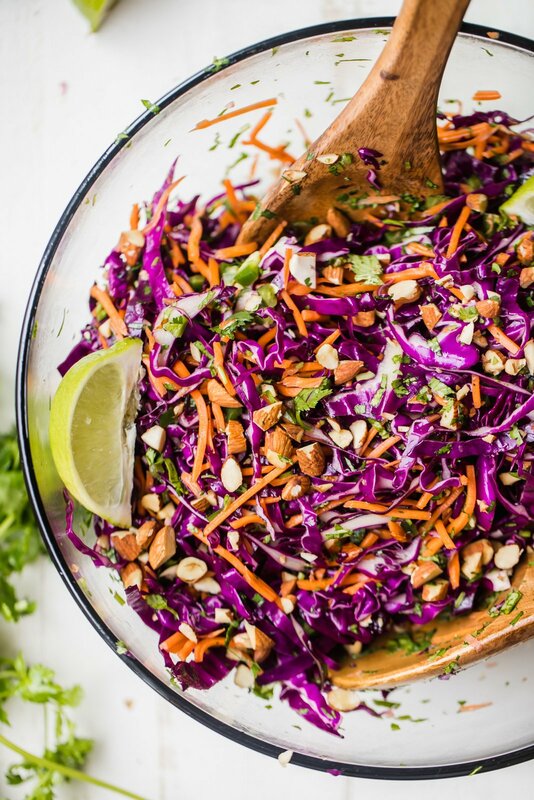 While this version isn’t your typical coleslaw, it’s still got delicious flavor thanks to carrots, cilantro, jalapeno (if you want), seeds, nuts and a zippy apple cider maple dressing. It’s a little sweet, a little spicy, and better than that soggy white coleslaw they serve at restaurants. JK that’s the Men’s Wearhouse slogan. HEH. It’s been a wild week kids. Now go make the slaw! YEHAW. The BEST healthy coleslaw made with fresh purple cabbage, carrots, cilantro, and a kick of heat from jalapeño. There's no mayo, just a naturally sweet and slightly tangy dressing. This simple, healthy coleslaw is perfect serving with your favorite grilling recipes all summer! Add all the ingredients for the slaw except for the almonds and sunflower seeds to a large bowl. 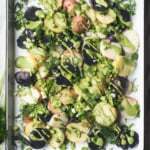 In a small bowl, whisk together all the ingredients for the dressing. Pour all over the slaw and toss well to combine. Taste and adjust seasonings as necessary. 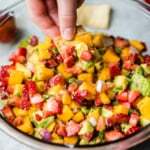 Cover and place in fridge for at least an hour to allow flavors to marinate together. 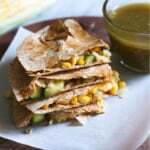 Before serving, sprinkle with toasted sliced almonds and sunflower seeds or pepitas; toss again and serve. 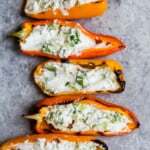 Perfect on sandwiches, pulled pork or chicken, tacos or just as a healthy side! 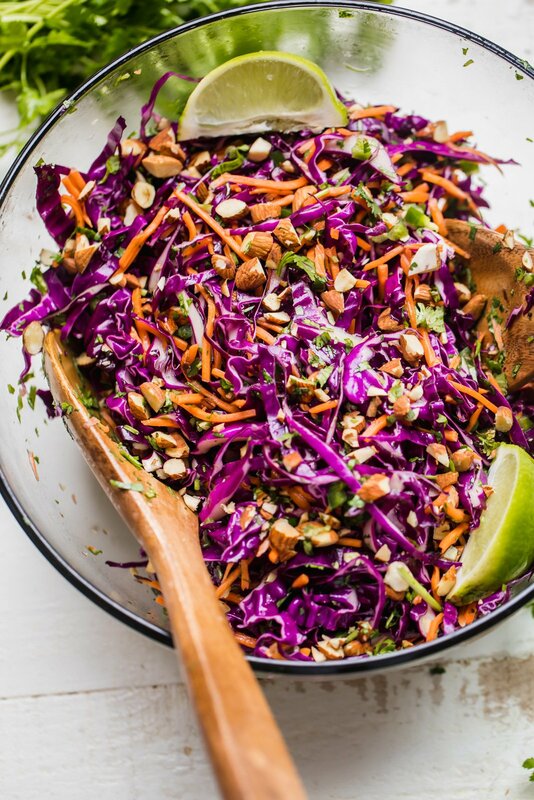 53 Responses to "Best Healthy Coleslaw Ever (no mayo!)" This looks perfect. I am one of those people who hates mayo so this is great for me! Will make for my next cook out for sure! I tried your thai quinoa salad and it was amazing! I still have half of purple cabbage and carrots at home, so I’ll be making this! Thanks Monique!! 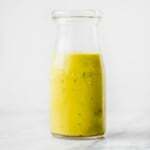 I am loving that tangy dressing! I may be alone here, but gloppy coleslaw is so not for me. Love this as an alternative … and that color is gorgeous! You’re not alone! This one is super fresh – you’ll have to give it a try! Yes, I LOVE LOVE LOVE red cabbage! I find it interesting that it’s called red cabbage when it’s clearly purple, and it exudes a blue hue after you heat it! 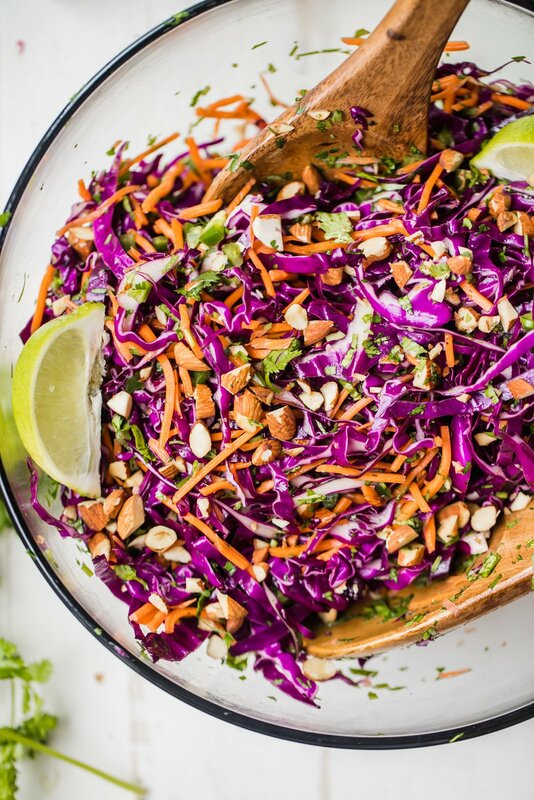 But regardless, this healthy coleslaw looks so perfect yet it seems so easy to whip up. Sesame seeds and a little bit of sesame oil and soy sauce with red cabbage is the PERFECT combination. I love it! Love cabbage in your salads! Looking forward to more recipes with it! I’m not good on distinguishing between small and medium heads of cabbage. About how many cups of the red cabbage did you get from your medium head? Thanks! Isn’t it the best?! So crunchy! I think it was about 6 cups or so. I made this yesterday, and it was great! I used about 6 cups of chopped cabbage, which weighed about a pound. I toasted slivered almonds and pepitas. Delicious! Made this three times now and cannot say enough about how great this and all the recipes of yours I’ve tried are – I am a fan for life. Thanks for all the great food. So happy to hear that!! Love this fresh one for summer. Thanks for loving AK! Will not be making this again! I’m sorry you felt that way! I’ve always found this to be super fresh, flavorful and a little spicy. If you do give it another try, you could always use pre-shredded veggies and add some extra dressing. Just made it tonight! Love it! How long would it last in the fridge? This will last about 3-5 days in the fridge! Made your non-mayo healthy coleslaw for a cookout last night. All 6 had big serving and/or seconds! Even my non-veggie eater liked it! It took a while to cut/ shred everything but way worth! Next time I can buy pre-shredded to save some time. So happy to hear that Lisa! And yes – pre-shredded makes it much easier 😉 but definitely worth it regardless! Oh my! I made this for my lunches at work to have with some chicken for the next few days- oh my goodness it tastes amazing!!! So happy! The best coslaw ever!!!! Hi, I want this for a group. What is the serving size (I.e. 1/4 cup) Thanks! Hi! It’s about 1 cup. Enjoy! I was wondering if the apple cider biggest taste is very strong. As much as I wish I liked it, I just can’t get used to apple cider vinegar. Do you think red wine vinegar would be a good substitution? I’m struggling with fatty liver disease and I need to eat a lot more of the cruciferous veggies and healthy fats. So this recipe looks perfect. I am a traditional coleslaw lover (but also a millennial lol!) 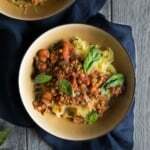 So I love new healthy twists on recipes too, I can’t wait to try this! I would never spend this much time measuring, dicing, mincing, chopping and tossing on a weeknight. I used a bag of Trader Joe’s Cruciferous Crunch (a mix of shredded cruciferous veggies), raw pepitas that I microwaved a minute and a half, and for the dressing only the easy to measure stuff: olive oil, maple syrup (actually the Trader Joe’s maple agave blend), and apple cider vinegar. And a little salt and pepper. No doubt I changed the spicy character of the recipe, but it was delicious all the same. Coleslaw with a kick! Love it!!! I just made this and it is already a favorite for my husband and myself! Glad you both love it!! Can you reduce the calories by eliminating the maple syrup? Will it still be flavourful? You can but the dressing will be more bitter. Feel free to taste and adjust to your liking! This was a huge hit. Fresh, crunchy and tasty. Used some green cabbage too as I find it soften’s up quicker and the purple holds the crunch for a nice combo. Will be going into the regular rotation! Thanks! I am not a sophisticated cook. 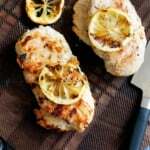 This recipe was straightforward and the dish was easy to make. My husband and I think it’s fantastic and very healthy. Thanks much!